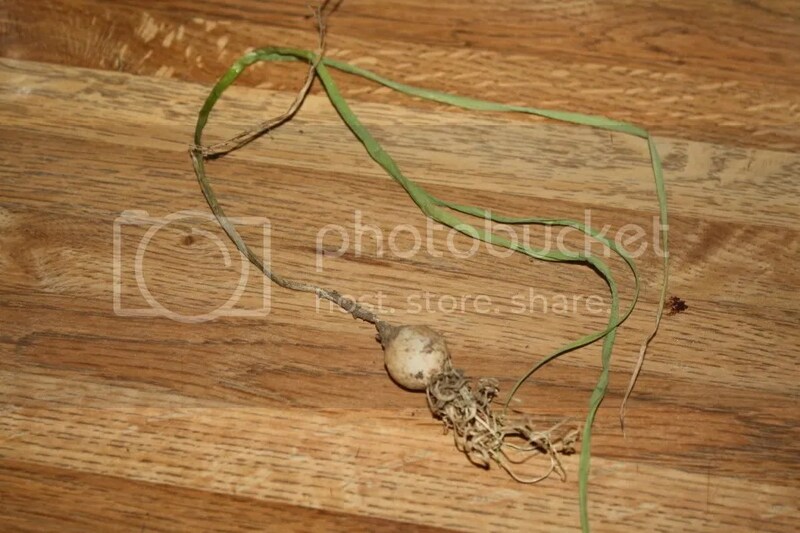 John planted some garlic a while back, and he pulled one out early to check it out. Look how little and cute it is! 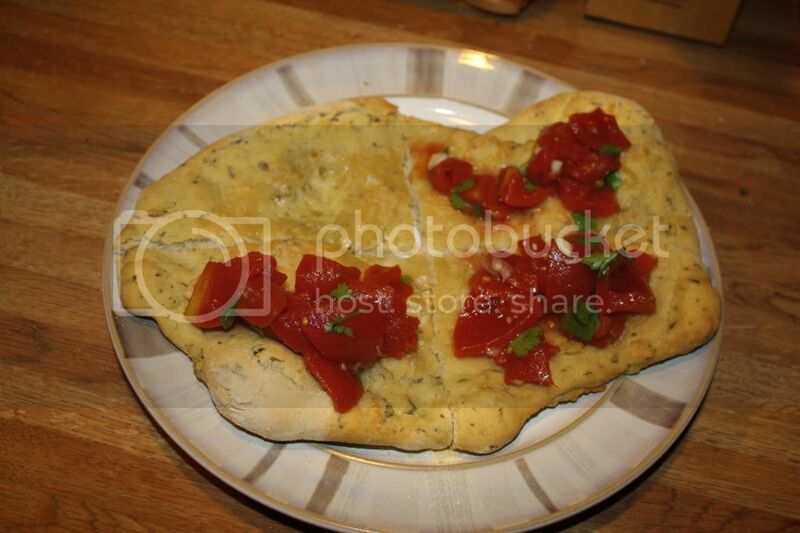 For Pizza Friday, he incorporated it into the dough, along with fresh parsley. I coated the dough with lemon olive oil, sea salt, and cheddar cheese. While it baked, I chopped up some tomatoes, more garlic, more parsley, and some scallions. 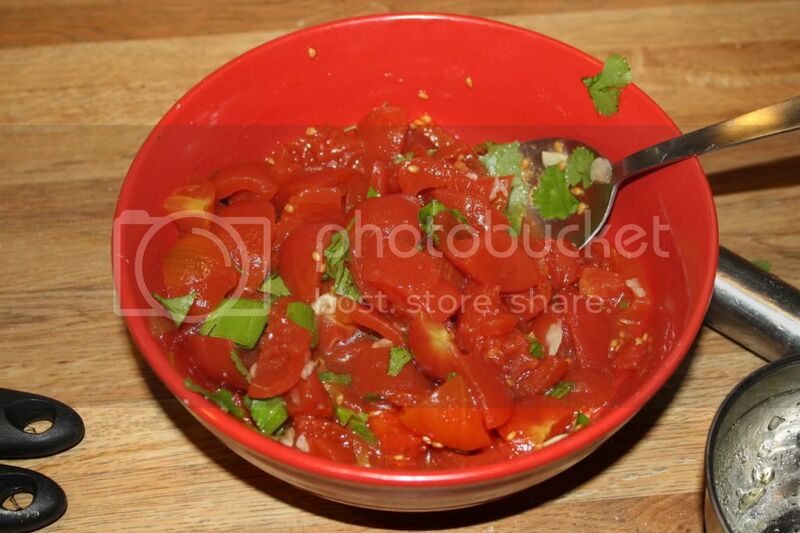 I really need to remember to use a different color bowl when I photograph tomatoes. 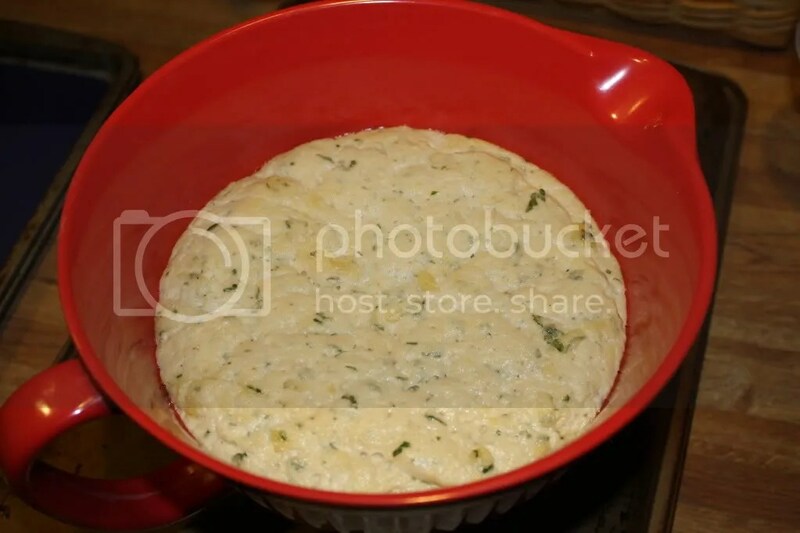 Once the dough was cooked, I took it out. Obviously. I cut it up with kitchen shears and topped it with the tomato mix. The perfect finishing touch was shaved Parmesan cheese…. MMmmmm! 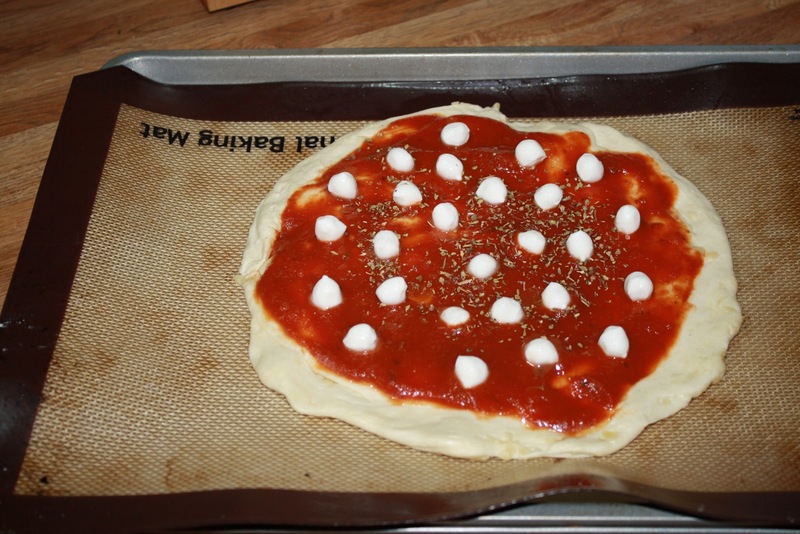 What would the perfect beverage for this pizza be? 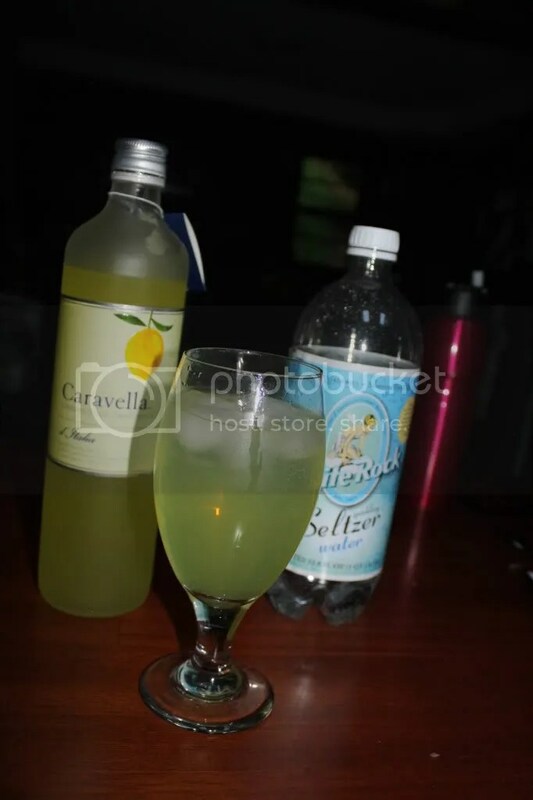 Limoncello and seltzer, of course! 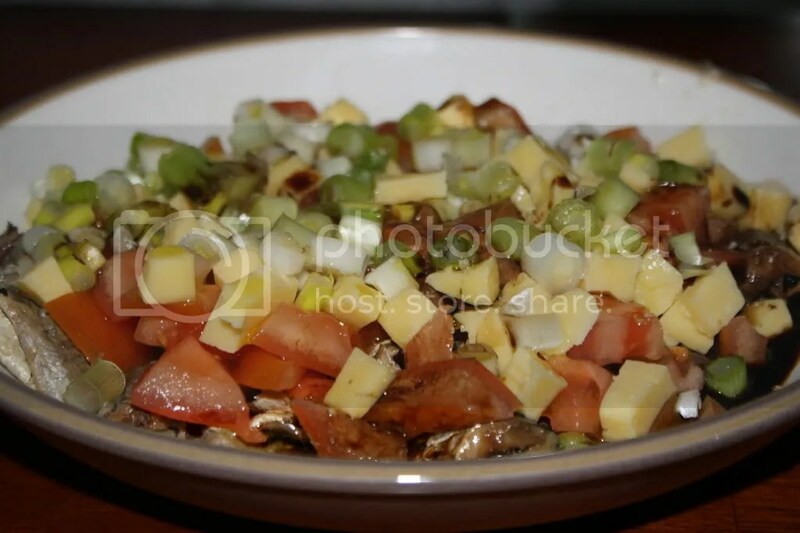 Categories: cheese, dairy, pizza, tomato, veggies | Permalink. This week’s Pizza Friday comes to you courtesy of my dad (and his gift of Lemon Olive Oil)! 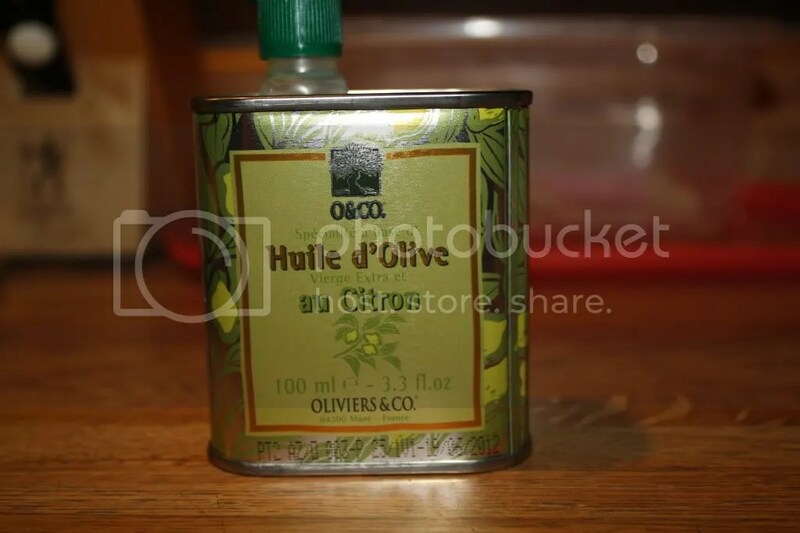 I really wanted Salad Pizza again, and we were out of regular olive oil. I remembered that we had this one that we were saving for something special. I brushed it onto my pizza dough and sprinkled it with sea salt and pepper. I baked it in the oven, and when it was done, I topped it with a salad, complete with shaved Parmesan Cheese! 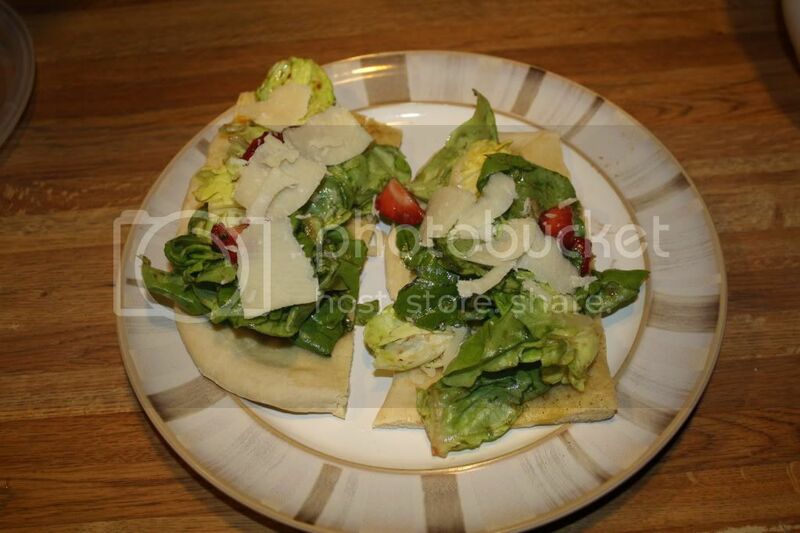 Categories: cheese, dairy, greens, pizza, salad, veggies | Permalink. This week? BBQ Chicken Pizza. The first step (besides setting the dough out to rise) was making the barbeque sauce. 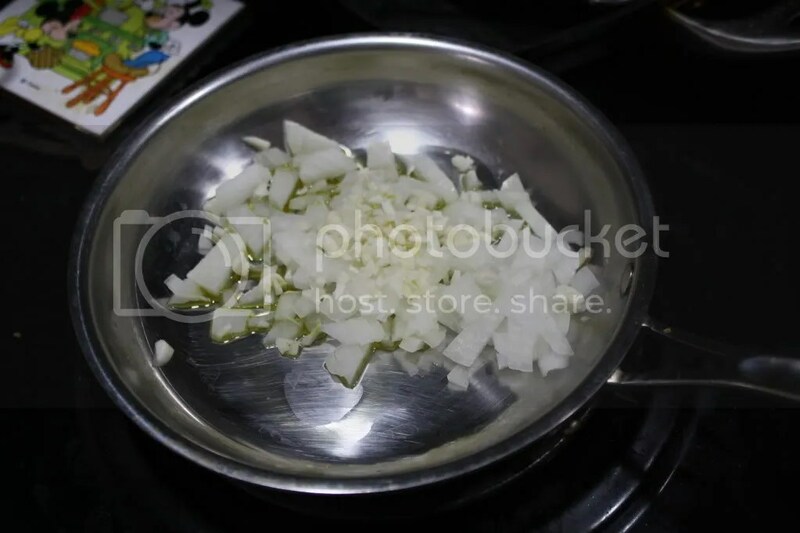 I sauteed some chopped up onions in olive oil to get a good base. 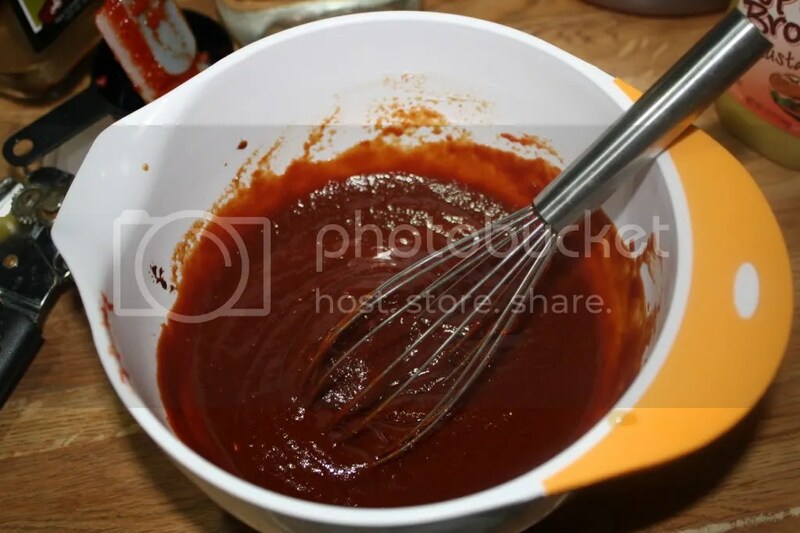 Then, in a separate bowl, I mixed together equal parts tomato paste and red wine vinegar. Then, I sprinkled in some red pepper flakes and stirred. 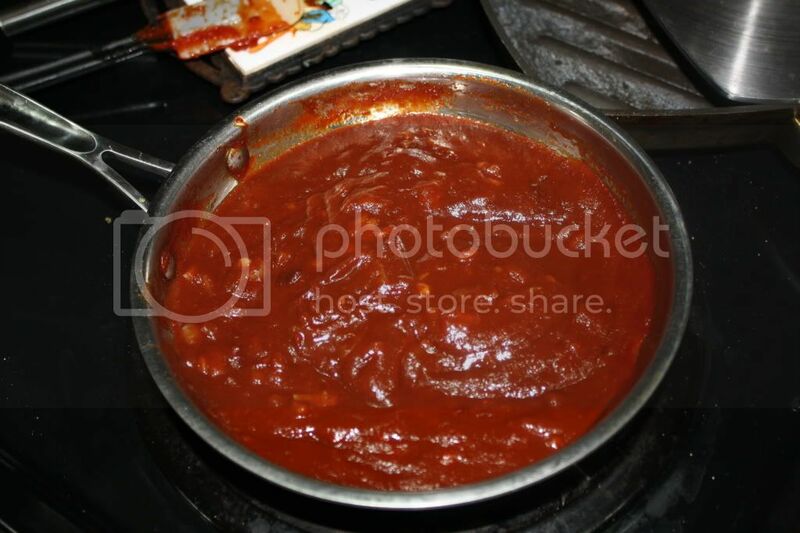 I threw the sauce into the onions to let the flavors meld together. I chopped up a roasted chicken breast while the BBQ sauce made its magic. By this time, the dough had risen! 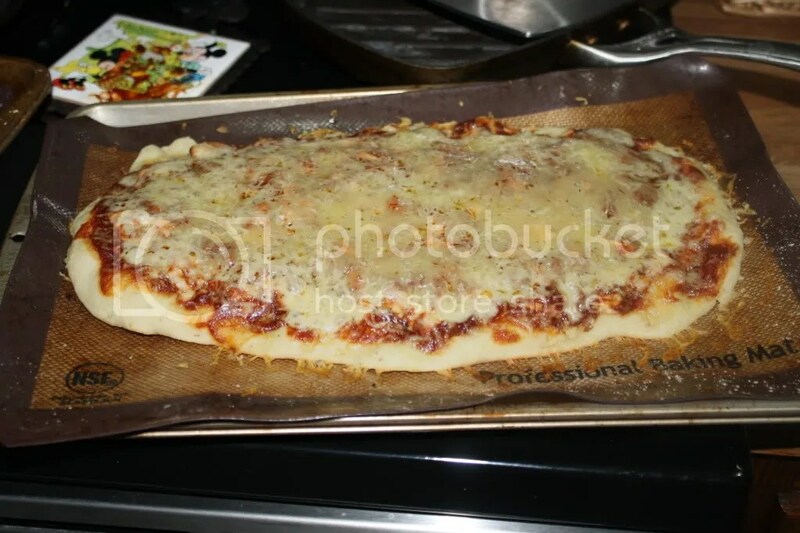 I rolled the dough out, added the chicken and BBQ sauce, topped it with raw milk cheddar, and baked it. Wait until you see how great it was!!! 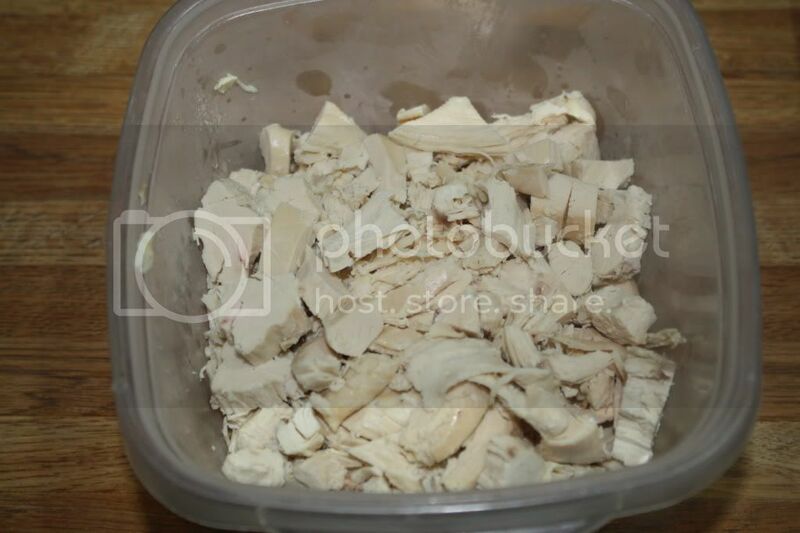 Categories: cheese, chicken, pizza, poultry, sauce | Permalink. I always show you what I cook, but I rarely share John’s recipes… mostly because he doesn’t like me to take pictures while he is cooking. Regardless, I snap away at the finished meals. By snap away, I mean quickly grab a photo before he notices. I need to get better at snapping pictures of things that he cooks. I mean, he is in charge of dinner on Thursdays, and all meals on the weekends. I help out, but he is the boss. Everything he makes is really tasty, and I want to share it with you! 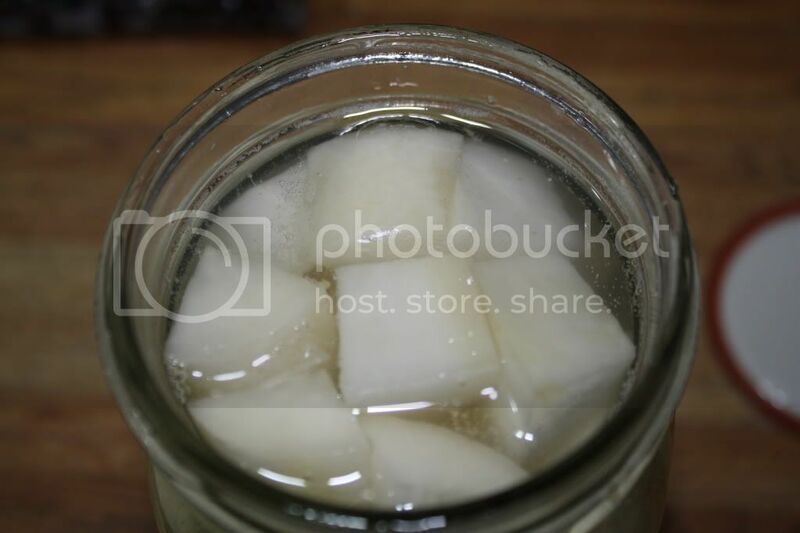 Categories: John, lacto-fermented, pizza, salad, seafood, veggies | Permalink. Here at Crest Cottage we have a few traditions. One of my favorites is “Pizza Friday.” Now, we don’t have Pizza eeevvvvvery Friday, but we have it often enough. When I’m meal planning and out of ideas, sticking Pizza Friday on fixes everything. This past Friday I didn’t plan for what KIND of pizza we would have. John likes a traditional pie, with tomato sauce and mozzarella, while I usually just throw whatever leftovers we have in the fridge on top and cover it with whatever cheese scraps are lying around. 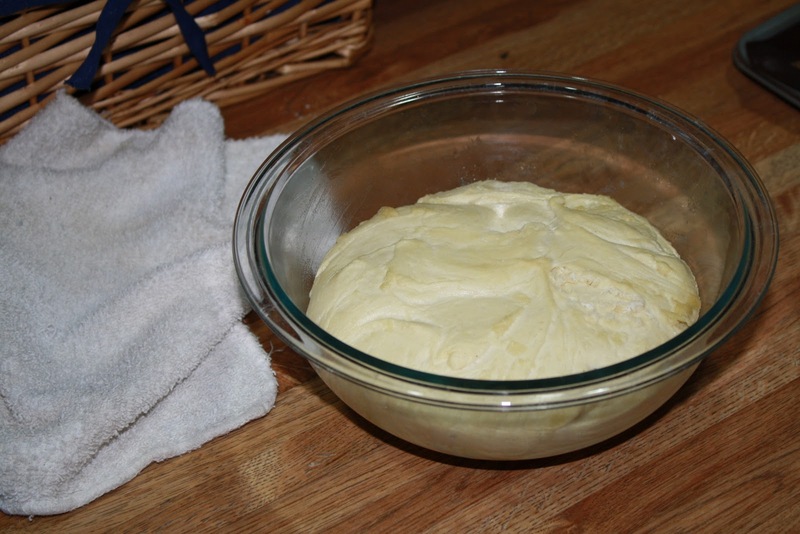 The dough is easy, I make a lot of it and keep it in the freezer. John defrosted it the night before and we let it rise while we were at work. What we didn’t defrost, however, was the tomato sauce. 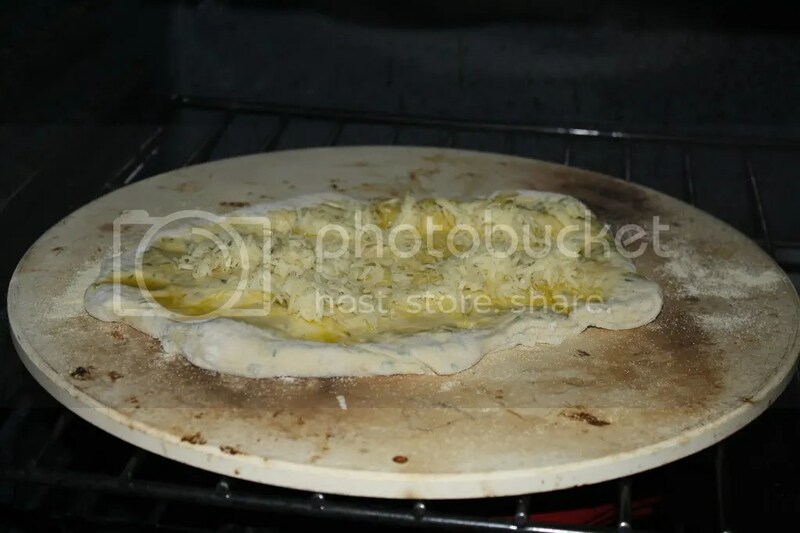 So that takes care of John’s pizza… and we had no leftovers in the fridge because we didn’t overcook this week. Solution? John took some canned unseasoned tomato sauce out of the pantry, mixed it with some seasonings and goat cheese, and topped it with mozarella. 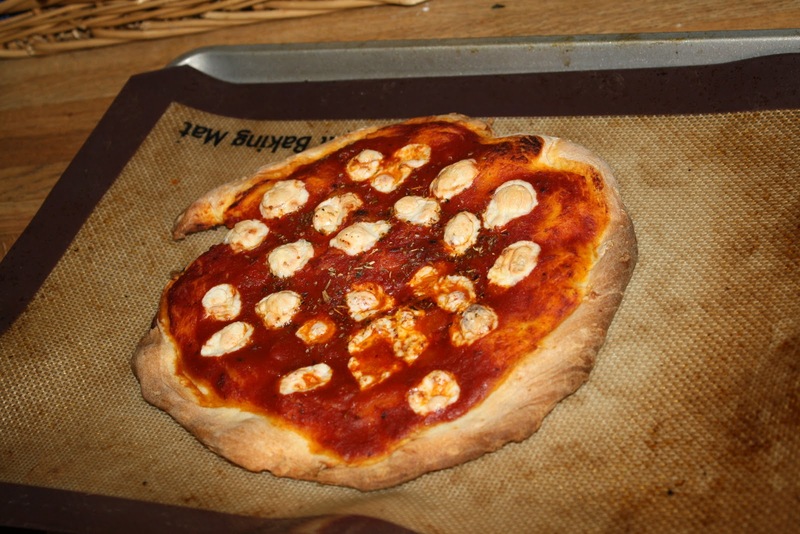 I put a layer of goat cheese on the dough, sliced up some tomatoes, and added herb garlic cheddar on top. They were both so yummy I forgot to take a picture! Bad Blogger! 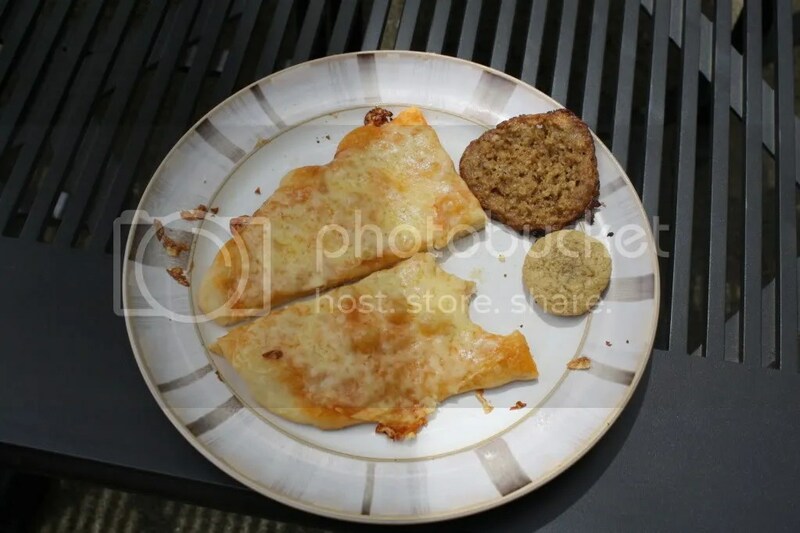 I guess the point of this rambling post is that, with a little ingenuity and a LOT of creativity, a pizza full of nothing can turn it to a meal full of yum. 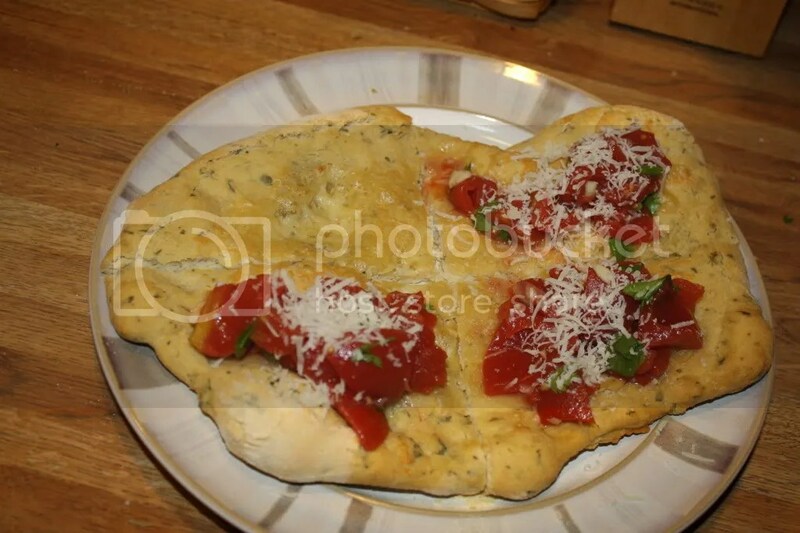 Categories: cheese, convenience re-do, dairy, home-made basics, pizza, sauce, tomato sauce | Permalink. 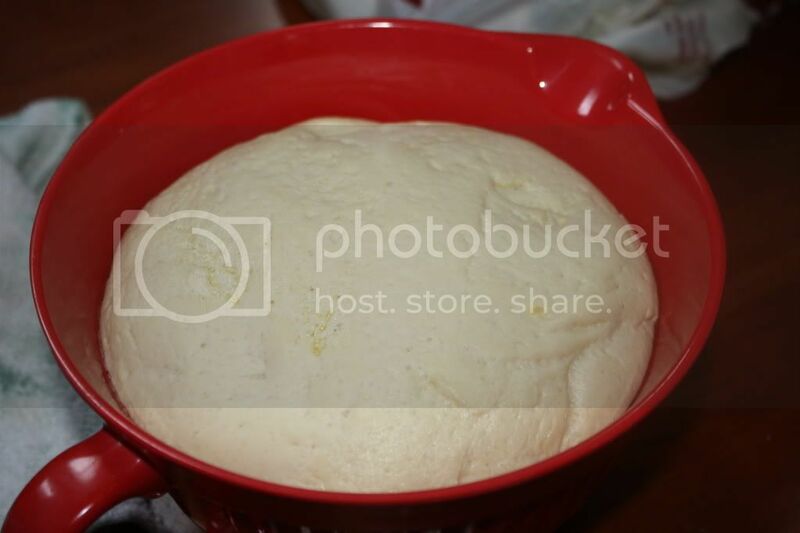 Another staple I like to make is pizza dough. 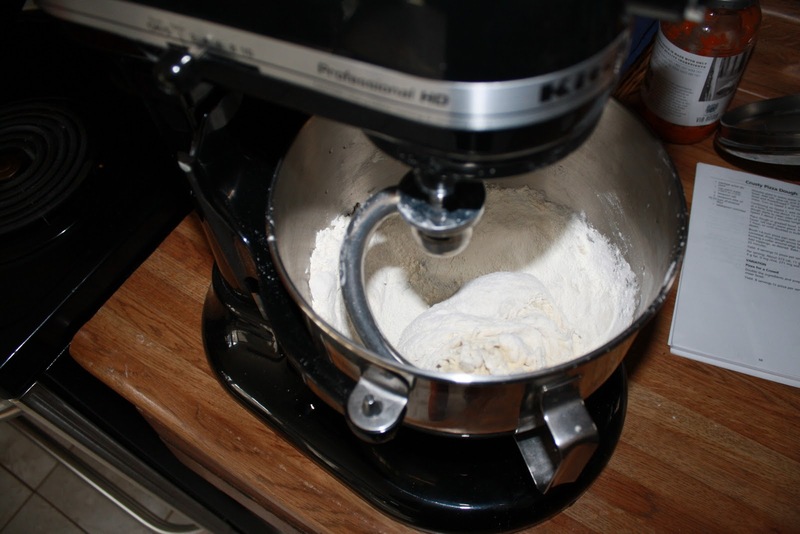 My stand mixer came with an awesome recipe, and although it is with white flour, I have not yet had time to tweak it. 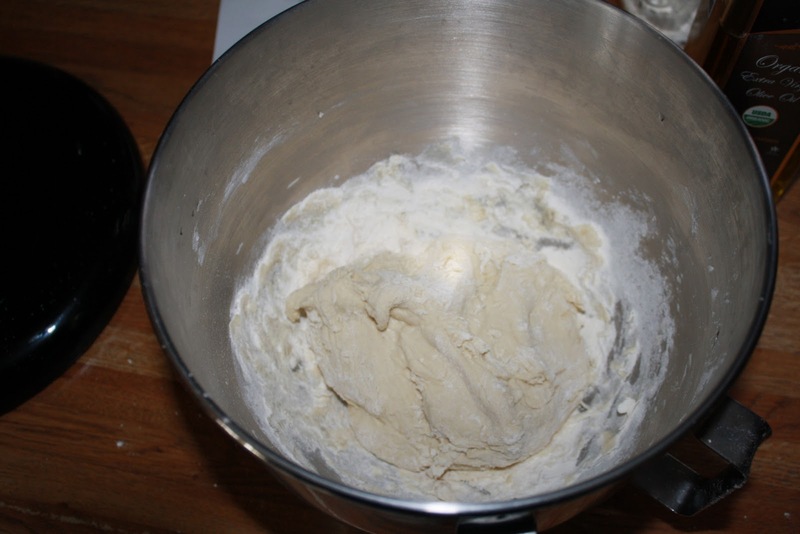 I tried just replacing some of the white flour with wheat, but that resulted in a tough dough that didn’t mix well. When I do perfect the whole wheat recipe, I will post it here. 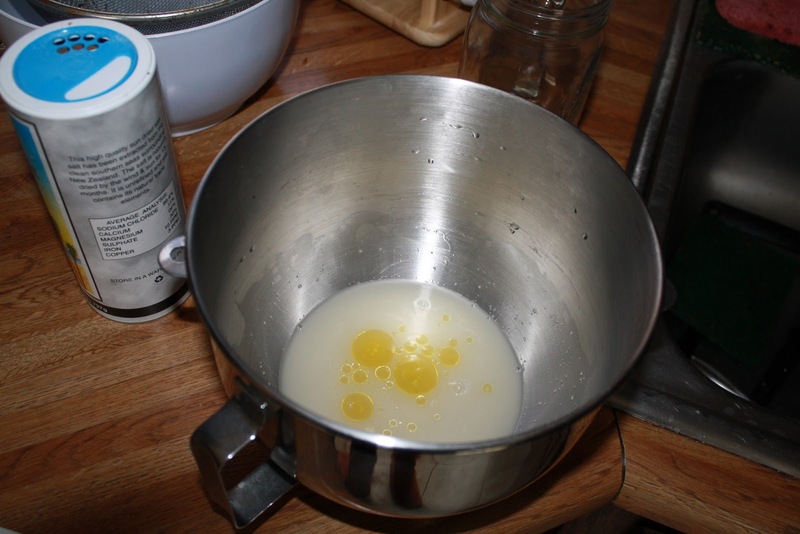 This recipe starts by letting 1 1/4 t yeast dissolve in 1 cup of water in a warm mixer bowl and then adding in 2 t olive oil. …and the whole thing is mixed together. 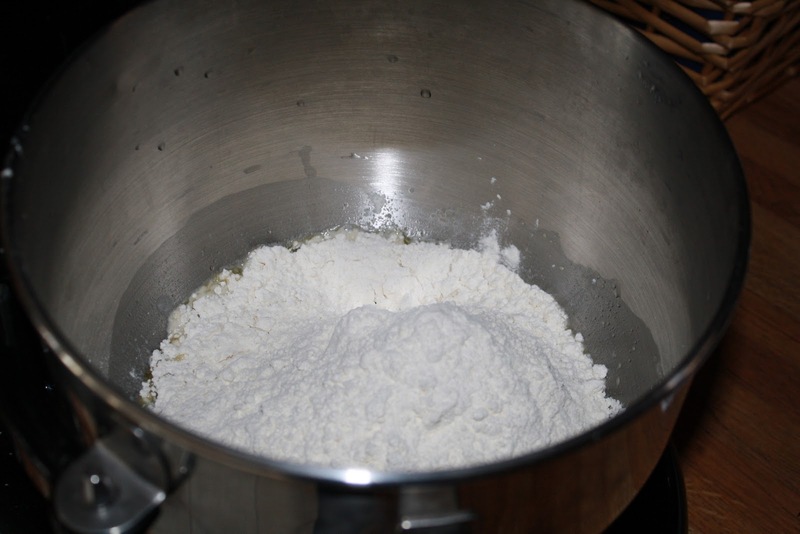 I added flour as needed to get the dough to form a dough ball. 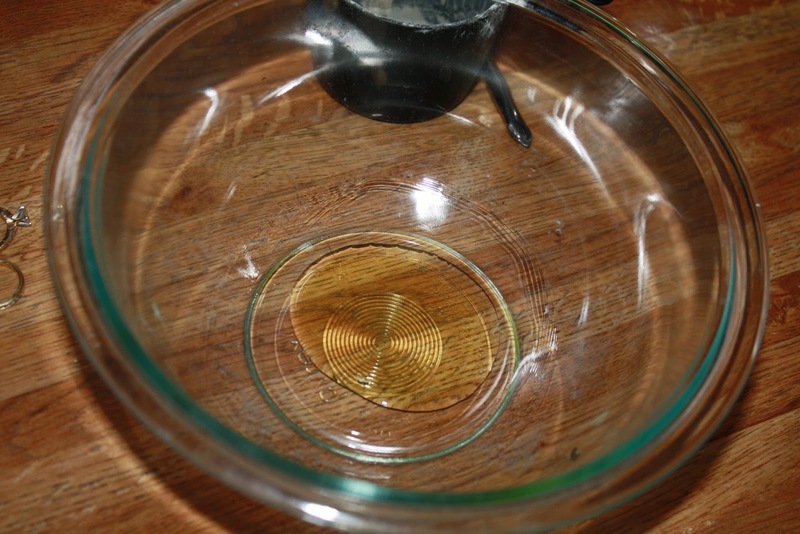 While the dough is being mixed, pour some olive oil into a bowl. 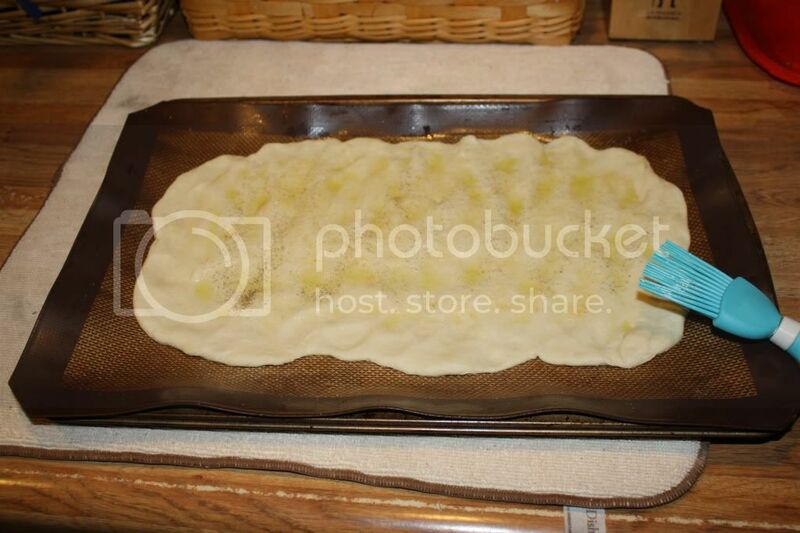 Add the dough ball and coat the dough and the bowl with said olive oil. Cover it and let it rise. 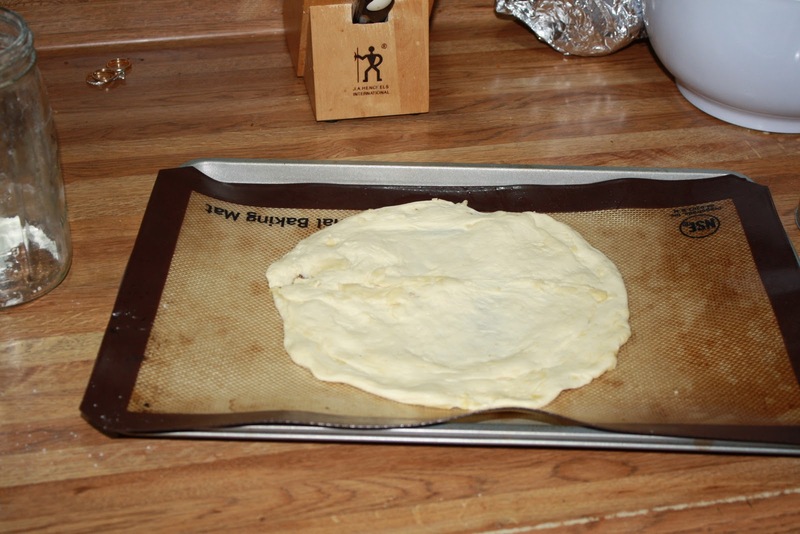 I use a dish cloth and let it rise in the oven. Our house hovers around 63*F during the day, so the oven is a better bet. … and bake it (450 for 15 minutes)! 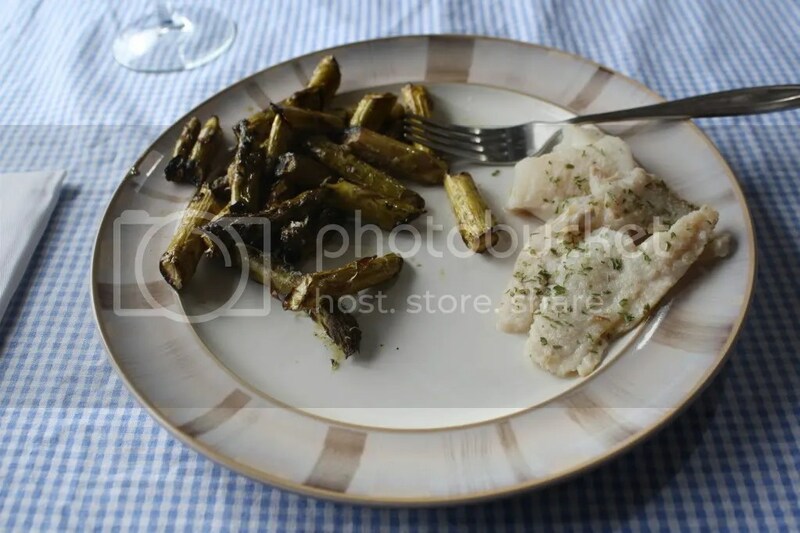 This post was featured at Tasty Tuesday at 33 Shades of Green and Healthy Kids Meals at Creating Nirvana! 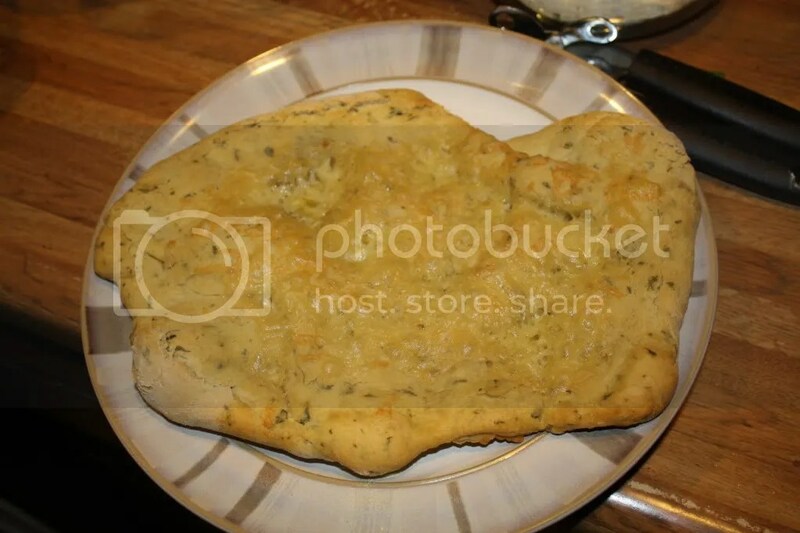 Categories: convenience re-do, home-made basics, pizza | Permalink.